Wayne Rooney has taken to twitter to annoy Manchester City fans with a photo. It’s no secret that Wayne Rooney takes great pleasure in scoring goals against Manchester City and shutting up their fans. 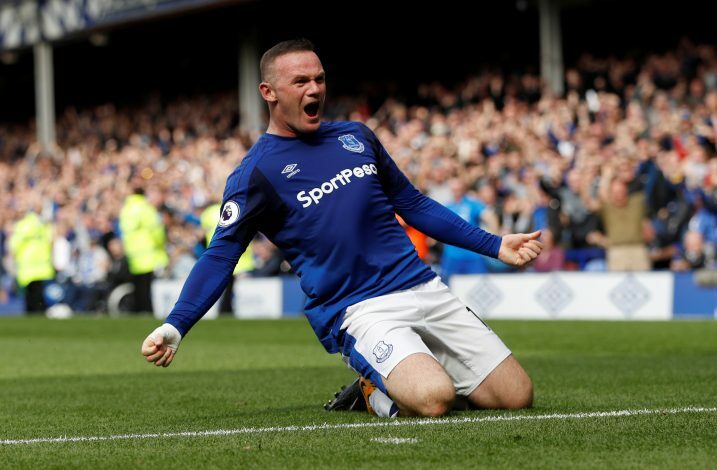 The Manchester United legend and current Everton striker continued the trend even yesterday, by opening the scoring at the Etihad. Although, the match finished 1-1, Rooney’s goal and celebration is the talk of the football town. Rooney is the all time time top scorer in Manchester derbies with a total of 11 goals. Remarkably, the English international has scored his 50th, 150th and 200th goal of his career vs Manchester City. The 200th goal of his career came last night, when he put Everton ahead in the 35th minute of the match.